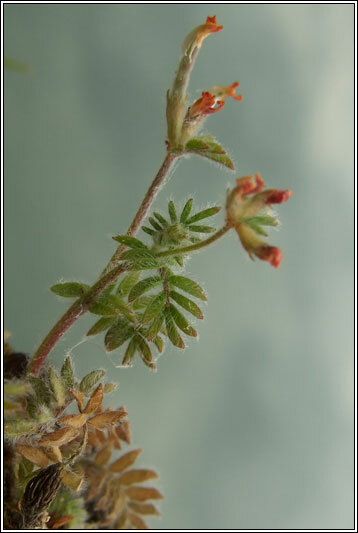 Habitat: Frequent in most of England and Wales on dry stony or sandy ground, dunes and grassland. It becomes less frequent further north and is rare in Ireland. 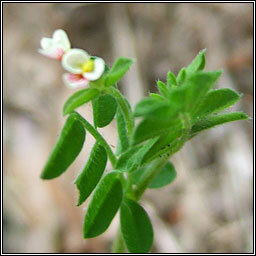 A downy, more or less prostrate, spreading plant, the tiny whitish-cream flowers with pink-red veins. The seed pods are curved, beaked and constricted into 4-9 segments, resembling a birds foot. Pinnate leaves. 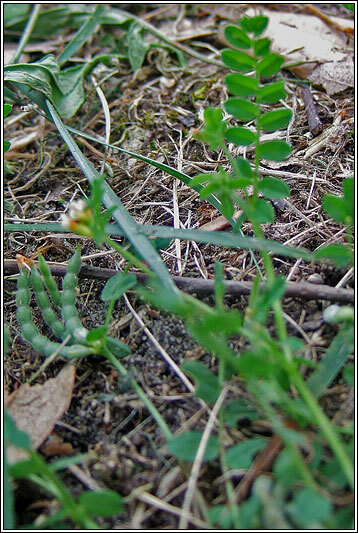 Height is variable, the stems 2-40cm long.